●We’re in the middle of a Digital Revolution , where millions of jobs are being destroyed or replaced by automation, robots, andsoftware. Worst of all, our education system continues to teach knowledge and skills that will soon be replaced by these technologies. ●That said, the Digital Revolution has created a huge opportunity for what we call“AutomatedIncome ” businesses - or, businesses that leverage selling information products digitally. Best of all: they can’t be replaced by machines. 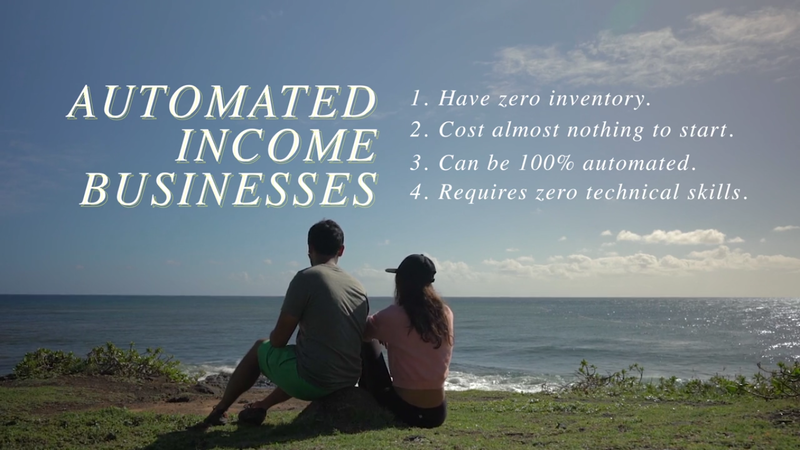 ●AutomatedIncome businesses have little risk, zero inventory, and require no technical skills to start up and run. They allow you to make money passively . All you need is some kind of information (i.e. knowledge) that other people will pay to access. world and rarely stepping foot inside an office.